Beware the Ideas of August. That was an honest typo. 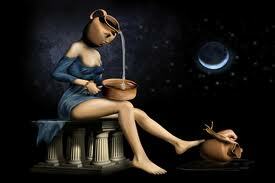 I’d intended it to read, Beware the Ides of August. My Train O’ Thought ® was knocked off its track…hmmm…might as well hop on the next one. What’s for dinner, you ask? Why, it’s bibimbap, you lucky diners, you. The next time I make cedar planked salmon I’ll say it’s bibimbap. It won’t actually be bibimbap, of course. Nomenclature, schmomenclature – I call the right of nouvelle-fusion cuisine, which means I can give it whatever appellation I want. Here’s what bibimbap (bee- beem- bahp) actually is, when it is not doing a cedar planked salmon imitation. 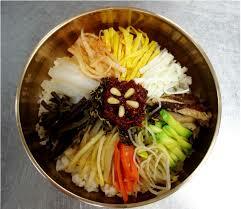 Bibimbap means “mixed rice” in Korean. 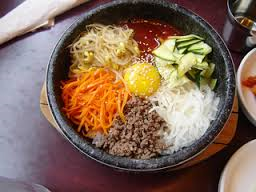 Bibimbap is a classic Korean dish, and there are as many bibimbap variations as there are Kim Jong Il  and Kim Jong Un jokes. 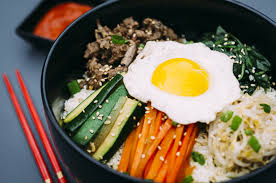 The dolsto bibimbap variation uses cooked rice, crisped in sesame or other oil in a heavy-bottomed pan in the oven or on the stove, as a base for a variety of toppings: steamed or roasted vegetables, plus tofu (plain or steamed or sautéed) and/or a meat or seafood item or fried eggs. Veggies are arranged so that adjacent colors are complementary…or in whatever pattern that suits the cook’s mood…to form a visually pleasing presentation. All ingredients are mixed together just before doling out the individual servings. Or, everyone can sing a chorus of “We Are the World” and eat from the same pot. On second thought, skip the singing part. It’s summertime, and bibimbap seems like the perfect dinner dish to incorporate the abundance of fresh veggies we’re getting from La Finquita del Bujo, our CSA. 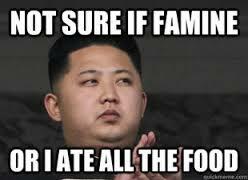 Besides, I like saying bibimbap. I like thinking it, too (bibimbap!). Family and future dinner guests, you have been warned. 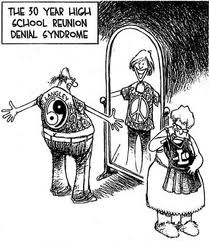 Dream dateline: my high school reunion dinner. I was seated at a table with three former classmates, with whom I’d had a passing knowledge/acquaintance-type relationship (i.e., I didn’t know them well at all, and vicey-versace). I had been receiving treatment for cancer of some kind, and had shaved my head before the reunion, as I didn’t want to be shedding hair into our bibimbap lovely reunion dinner. The electric razor I’d used was defective; thus, I did a really crappy shave job, especially near the nape of my neck, which was covered with blotches of hair. 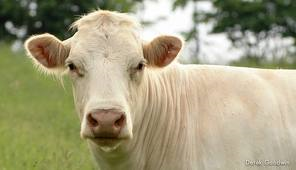 I explained the reasons behind my unique grooming to my tablemates, and was unnerved by their reactions. They seemed (1) very happy to see me, (2) very happy to hear that I had cancer, (3) even happier that my scalp looked like it was the don’t try this at home warning photo for a depilatory fail. Like this, only much, much worse. It’s like a nervous tic. In last week’s post I mentioned my morning walk/listen to podcast routine. These walks sometimes put me into a contemplative or ruminative state of mind – I find myself chewing the mental cud, so to speak. J is in effect asking two questions, related but separate. One is whether giving away money – in this case, to a religious institution – makes you happier. The other is whether religion itself makes you happier. Neither question is easy to answer, but we’ll do our best. Excuse my momentary digression of a critical nature: that particular Freakonomics show did a piss-poor job of “answering” either question, IMHO. Yo, Freak dudes – don’t go throwing around a self-descriptive like “best” with regards to that show. Anyway…distracted as I was by the Freaks wandering around the topic, I began to wander around it moiself. Here is a bit of my meandering, on that Marianas Trench of a topic: what religious institutions are and what people “get” out of them. DAMN !!! This has got to stop. Churches are habituaries. As in, churches are places wherein one becomes habituated to churchy ideas. Churches are places where one becomes habituated – wherein one adapts to and even becomes comfortable with – intellectual and communal ignorance. Beliefs which you’d consider absurd at face value  (and do consider absurd, if they are coming from a different habituary  ) or if you encountered them in any other venue – it is your church’s job to make you get used to them…so used to them, you often forget they are even there. You sing the songs, repeat the liturgies, without thinking about what you are saying and without considering, is this plausible? Is it true? And, if your church is successful at this most important of churchy tasks, you accept what is taught or said within the church without applying the kind of reasoning you would to any other statements that purport to explain reality. 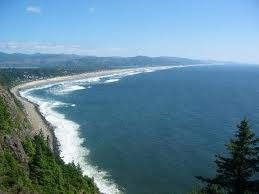 Whether or not you take your religion’s teachings, rites and practices “literally,” your church (temple/mosque/ashram/Celebrity Center/Chrystal Vibration Shakra Retreat Lodge) is a place where you become inured to recitation of falsehoods about, and absurd explanations for, the natural world. I think this is especially true for habituaries filled with liberal and/or nominal believers,  many of whom join a church so that their children may attend the church’s private school (e.g., if the local public schools have a bad rep), and/or because they want some kind of churchy experience so their children can be “exposed to religion,” and/or because they enjoy the social club aspect of church attendance (churchy term: fellowship). These parishioners aren’t primarily church-going for the theology; thus, they tend not to pay much attention to it, past mouthing or acknowledging certain religiously correct platitudes (“god is love; we are all god’s children.”). And churches and the people inside of them can get away with this, because religious teachings, rites and theologies are protected by a bizarre kind of social and political immunity – under the umbrella of “religious faith” – from having to offer rational, objective proof  (“here are the reasons we do/believe this”) for their beliefs and proclamations. 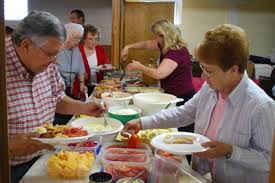 Of course, many folks eventually figure out that it’s all a bucket o’ hoo-haw, but continue to show up for the potlucks. May your weekend be habituary-free and ideas-laden, and may the bibimbap hijinks ensue. Good news: Kim’s dead. Bad news: it’s not one of the Kardashians. I chew, therefore I am. All due apologies – me pardoner, M. Descartes. Yes, I’m inventing that word, but necessity being mothers and all, it needs to exist. Christian habituary: all-powerful sky god sends his unborn son on a suicide mission to Earth, via impregnating a human female in some supernatural way, and Earth female births a baby who is both Sky God’s kid and Sky God himself, and Sky God junior is born on Earth ordained to be killed (even though he is Sky God, and therefore immortal)…. Mormon habituary: Joseph Smith found golden plates containing divine revelation written in a strange language, which Smith translated by placing a seer stone in his hat and looking through his hat, at the plates; Muslim habituary: Muhammed ascended into heaven on some kind of mule or donkey-like creature, where he and other prophets chatted about prayer rituals; Scientology habituary: Zenu, dictator of the Galactic Confederacy, brought billions of his people to Earth 75 million years ago, stacked them around volcanoes and killed them with H- bombs, which caused the immortal spirits of those aliens to stick to present-day humans and cause mental and physical harm ( even going so far as to force them to watch Battlefield Earth). Fundies, is a whole ‘nother kettle of fish. “Because our magic/holy book sez so” is not proof. Ideas is nice, but IMHO the best typo is four paragraphs from the end. And hey, what’s wrong with my plan to join the RC church for tuition breaks then the LDS for social services when I’m old? It’s not like ever other civilized country provides that stuff for free. Oh, wait, they do (mostly). Maybe I should just emigrate. I’m waiting for you to start your religion, that I (and all deserving folks such as moiself) may obtain legal services in return for slavish adoration. And sushi! That should be a part of your religion’s Rite of Absolution. Whaddya know, I’m anticipating a need for penitence, around lunch time today. Beware of coveting the LDS social services. Do you really want to spend your golden years gumming Jell-o casseroles?